Directions: Drive south on Grand loop rd from Canyon Junction and take North Rim Drive. This place is called Lookout Point right before Grand View. 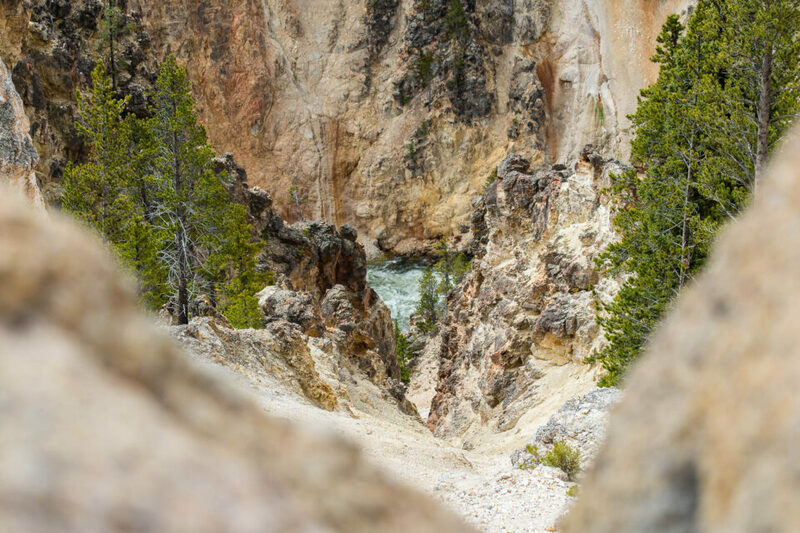 You can do a short hike down which is where the featured image was taken. 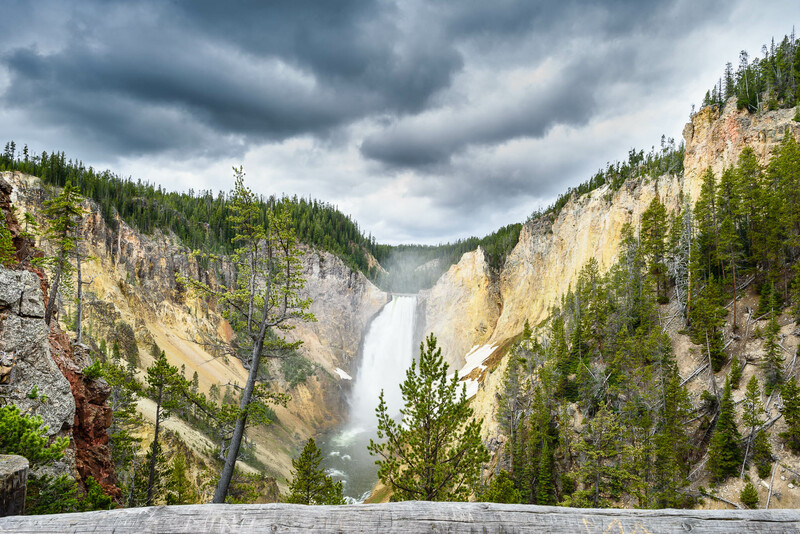 This is one of the popular destinations to photograph the lower falls and its colorful rock formations. Best time to photograph is sunrise as you get the rainbow from the falls. 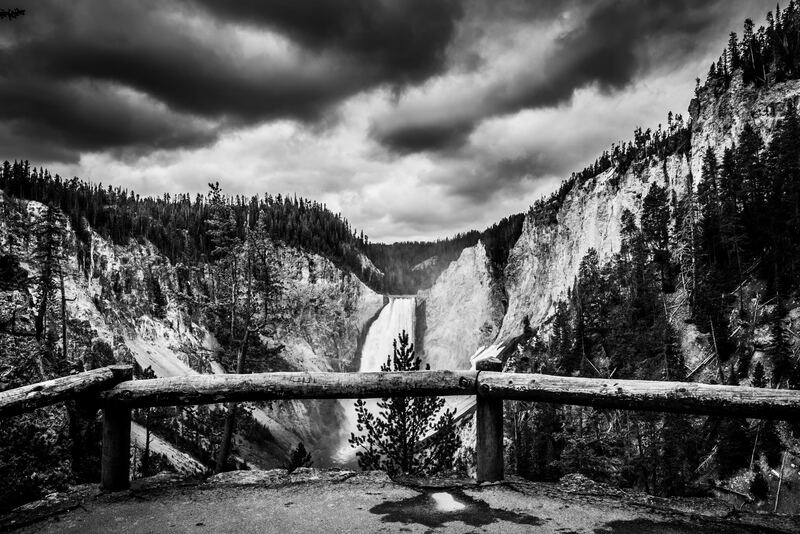 Yellowstone has abundant wildlife, be careful of your surroundings if you are alone, always carry bear spray with you its life saver when things get hairy. You can also use the spikes on your Gitzo tripod to shoo away wildlife but don’t expect it to work on Bison or huge Grizzly. This North rim drive is the section mostly used to photograph along the falls as it gives a nice composition of the entire falls and the rock formation colors. You get lot of opportunities here to get panoramic images of the entire fall along with canyon. Use PL articles on how to shoot waterfalls to get the settings right. 7) Above all enjoy nature at its best through your eyes and lens. John, nice work. I really like the angle of view in the last photograph, seeing the river before it falls gives a feeling of infinity, the evergreen (fir?) trees descending symmetrically further draw my eye to the top of the falls. The subtle shades and textures and spot on exposure of the image before it are great. I have talked myself (and my wife) into upgrading to a d750 which is going to also mean upgrading lenses. Is the 70-200 2.8 you used Nikon or Sigma. The Sigma gets such (almost) universally great reviews from Nikon and Canon user alike that I am pretty sure when the time comes to take the plunge it will be with the Sigma. 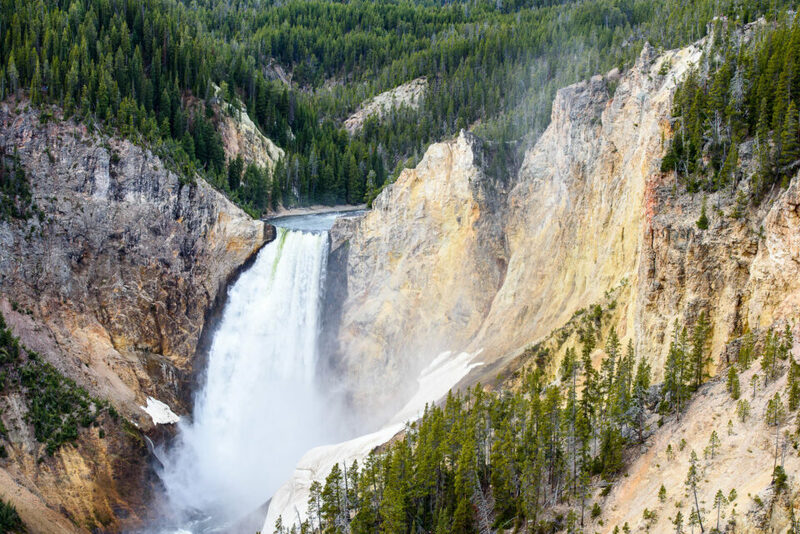 I am hoping to visit Yellowstone before too many years as well. Thanks for sharing. Thanks for the comment. It’s Nikon.